A vocational school must have a challenging curriculum to flourish and have the support of expert staff. Running a vocational school can be both an enriching and challenging experience as you try to help people learn new skills to allow them to earn a livelihood as well as manage an education business. A vocational school must have a challenging curriculum to flourish and have the support of expert staff. Entrepreneur.com.ph asked Joel Botoy, school director of Davao-based JIB Welding Academy, on how vocational school owners can stay on top of their game. "One thing that you have to understand about vocational schools is that you have to stand out from the market by having the best curriculum, modules, and machinery, but maintain your costs low so your target market will be able to afford," Botoy said. Here are the three tips Botoy shared on how you can ensure the profitability of your vocational school. "In our school, we have a consultant from Australia who comes over every quarter to check on the curriculum, the facilities, modules, and even how the students are performing. In that way, we are able to remain on top of the game and have become the preferred school in the industry," Botoy said. The school keeps up-to-date with the latest trends in the industry through its Australian educational partners. 2. Partner with government agencies. Aside from the required TESDA accreditation, you can also partner with government agencies that offer scholarship programs for those who want to become skilled workers abroad to widen your scope. 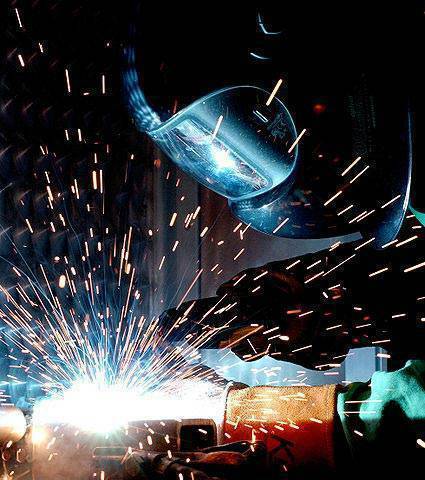 Since most students woh enroll in vocational schools like the JIB Welding Academy cannot pay outright the amount needed, you have to have to be open to flexible terms of payment. Also, the school keeps a list of people who want to enroll in the school just in case scholarship grants are available. The JIB Welding Academy is part of the Joji Ilagan Career Center Foundation founded in 1982 to meet an individual’s professional and personal needs. They have schools in Davao, General Santos, Marawi, Iloilo, Zamboanga, Surigao, Butuan, Gingoog, Bukidnon and Manila.